Are you on Pinterest? Do you pin things and tell yourself you will create something like that at one point later on? A blogging friend of mine, Kendra Wietstock, is posting a Pinterest inspired project from the first of December until the 21st on her blog. I thought I join her today. Ever since I saw a Christmas tree made out of string on Pinterest, I knew I wanted to try it. But when buying string for it, I changed my mind a bit and bought fuzzy white yarn instead. I had seen a Christmas tree decor at Target that I liked and thought I could re-create it with the string tree technique. Plus white and silver would work great with the current Moxie Fab World challenge. Well…it worked kind of. I wrapped a styrofoam cone with wax paper. Then started glueing the string to the cone. 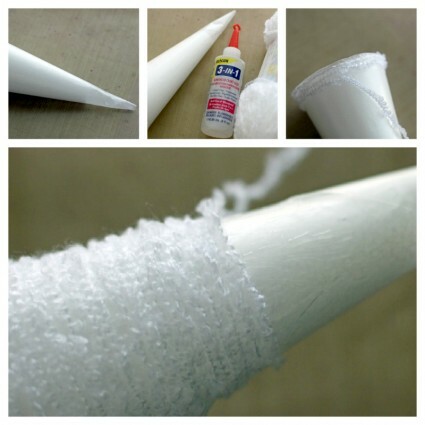 Once I wrapped the entire cone and the glue was dry, I took the styrofoam cone out and tried to separate the my string tree from the was paper. Note to self: This doesn’t work the with fuzzy yarn! LOL So I stuck the styrofoam cone back in and started on the decoration. I cut and embossed hearts and stars out of shiny silver paper (bought at a scrapbook store back in Ohio) with the small dies from Sweet Folk Art. They were strung up on silver cord and adhered to the tree. The tree was topped with a star created out of the same paper cut with the bigger star die. Red and Silver rhinestones finish off the tree. I am happy with how it turned out, even if it’s a bit different then the pinterest idea I started out with. Thanks so much for stopping by! Have a wonderful Sunday! Beautiful and brilliant! Really! Wow! I think it turned out wonderfully! Even if it wasn’t what you had envisioned or what you saw on Pinterest exactly. That is a starting point and this is why yours is unique!!! Awesome handmade project! I love these tree’s they are so fabulous. Oh my, I’d be more than happy with that even if it’s not quite what you had envisaged. It reminds me of doing something similar with yarn on balloons when we were kids, but our results were nowhere as pretty as your tree. I think it turned out pretty awesome myself! Gorgeous! Gorgeous tree! And very festive for the season. My problem is time. I see so many projects I’d love to try (and this is one of them) but just can’t fit everything in. I need to retire. LOL! Thanks for the inspiration! Have a wonderful week! This an adorable tree, Beate!!! Love the white and all the embellishments…B-E-A-U-T-I-F-U-L! The white, red, and silver make a beautiful tree. 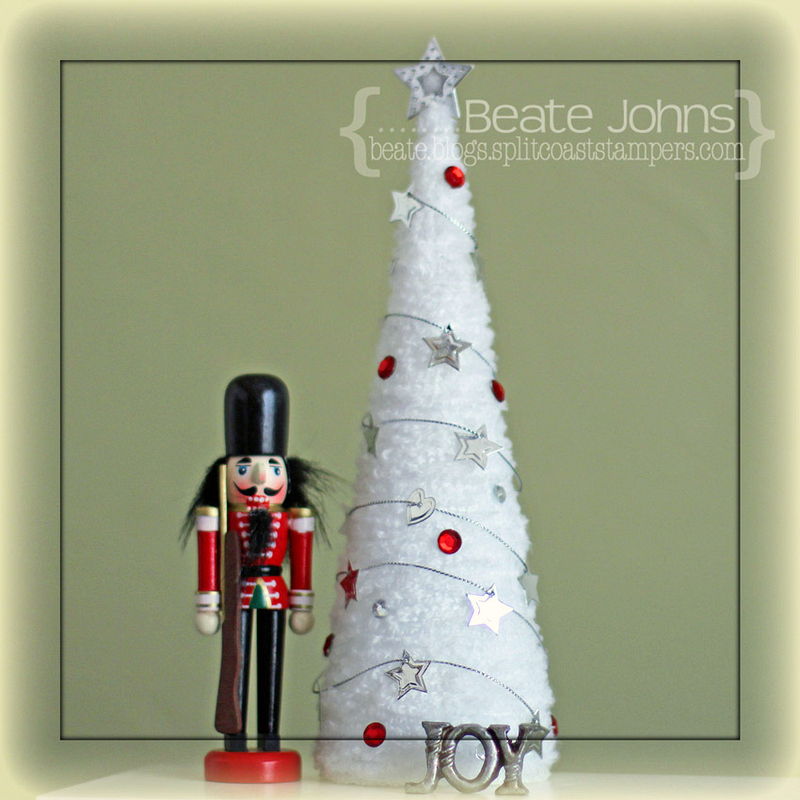 Oh, I love how your tree turned out–especially the pops of red and silver! Beate, your tree is so pretty! I’m inspired to give this a try, too! I actually love that you ended up with a totally different tree than the Pinterest tree – it’s fun to see variations on a theme! Good luck with the Moxie Fab challenge 🙂 Thanks for sharing…off to check out the die site! Oh wow!! That is gorgeous!! Very cool! Absolutely gorgeous. Love the fuzzy yarn even better than the original! Love your tree. I really like the soft look it has. Kind of like a snow covered tree. Thanks for sharing. 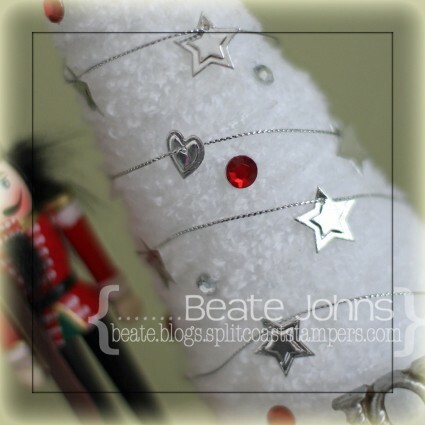 Oh I just love your tree Beate, I want to go straight out ang get everything I need to make it! I think yours is much nicer than the original idea! I think I would like a whole set of these in different sizes maybe! Fantastic job! This tree turned out beautifully, Beate! I love the shiny silver with red accents! Oh my goodness, this is the colest technique ever! LOVE your tree using fuzzy yarn…even if it didn’t go as planned. Just beautiful! Your tree turned out beautifully! I did these as a child and can see you never outgrow them! 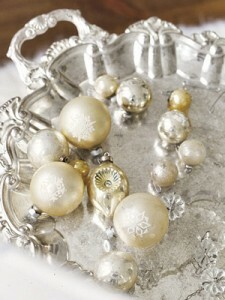 Beate your sparkly tree is bedazzled with snowy delight! Your tree turned out great Beate and is yet another idea for Christmas. I just pinned it on Pinterest and my guess is that it will be repinned by many others. I love your tree, too. I’m guessing the green cord was wrapped over a wax paper covered styrofoam cone since you used wax paper. Is the green cord coated or is it just cotton cording? Sometimes I use parchment paper vs. wax paper for things I really don’t want to stick. For some reason it works better for me. It turned out Fabulous, good thing you had a white cone 🙂 I love that yarn too, sweet way of decorating it! I too love pinterest! This really stood out to me too! I want to touch it : ) The great thing about this project is you just buy one cone, and can make a whole forest of trees! I was thinking you’d have to buy a couple different sizes, but then thought you could probably just stop wrapping 1/3, 1/2, or 2/3 down the cone. Fun project! Your fuzzy tree looks really great…and with the cone inside, it won’t blow over if someone runs by LOL! I pinned that tree a month ago, and I have to say I like yours a whole lot better! really like this, Beate. such a beautiful project! This is so pretty — I love the nubby white yarn. Great texture. And, you’ll be able to enjoy this for years — it will last so much longer with the foam cone. Happy holidays! Oh how awesome, Beate! I really need to do this. . .love your tree! love this idea. I was going to try it then I saw the price of the form. I will be creative with out Styrofoam. love the idea. Don’t ya just love Pinterest. It is amazing how we take what someone else has done & make it our own. I love your tree Beate. Thank you for the inspiration. 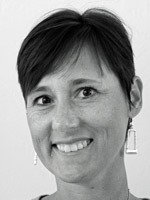 Hugs Lori R.
We crafters can take an idea and run with it – never know where it will lead! But it’s usually to a good place – and yours was to a very good place!